Winning at poker taught me how to tackle some of the tough challenges of life — where conventional wisdom is often wrong. In summer 2012 I won enough money playing poker online to finance my last year at university. Countless hours of research, hard work, and dedication were necessary to earn sufficient cash. However, the real value of playing poker came in the invaluable life lessons it taught me. Life is like poker in many regards. In both there are risks, and in both you can win or lose. No outcome is guaranteed, but the potential rewards are immense, almost limitless — for those who know how to play. Both poker and life are games of skill. Short term, anyone can get lucky and win one game. However, those who play better get the top rewards long term. That’s why the same experts win the big tournaments year after year. In poker, players that win, attribute their success to skill, whilst players that lose blame their bad luck. Same applies to life. If you want to win at anything, you better learn and improve rather than ranting about your luck. Learning how to play good poker taught me lessons that apply when you want to win in life too. I would like to illustrate the most important ones with 5 simple points. I hope you find the advice as useful as I do. The golden rule of both poker and life: don’t get into trouble with the Russian mafia. Poker is simple: you get some cards and bet that they are better than those of your opponents. If your cards are the best you win. Alternatively, if your opponents are scared of your bet and surrender, you also win (by bluffing). In both life and poker you can win by either being the best or by being the only one who does not give up. Sometimes a player’s tenacity and couragetriumph over someone with the best poker hand. In both life and poker is not always the best that wins, but the one that holds firm until the end. In life, being confident can get you through a job interview ahead of someone with a stronger CV. However, you will still lose if you are caught bluffing (e.g. if you lie). You have to weight your chances to maximise profit. Not being the best at something is no excuse for not trying. You can still win in both poker and life if you play better than others with what you have. Not having the best starting hand is no excuse to surrender either. You can get further in life than others coming from more advantageous backgrounds. 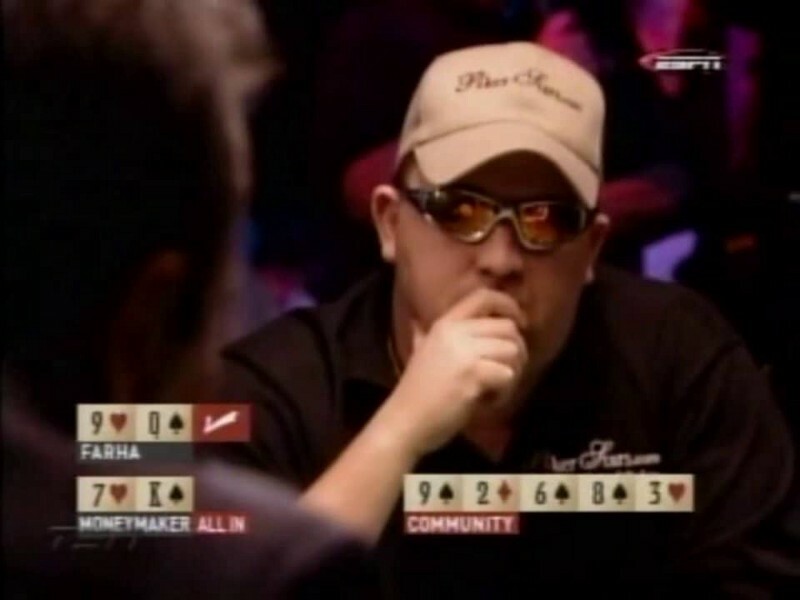 In 2003, Chris ‘Moneymaker’ pulled out the bluff of the century to win millions at the World Series of Poker. You can win even when you don’t have the best hand — but only if you are confident enough. There is always a perfect hand in poker, the set of cards that always win. You get an adrenaline rush when you uncover this coveted hand. The issue is that you never get them when you need them most. The chips you are playing the game with may run out before you have the chance to play. Similarly in life, waiting for the perfect opportunity may be preventing you from achieving your goals. You can easily run out of time whilst waiting. It’s dangerous to wait for when the time is right for quitting your job to start your own business, for approaching that girl you fancy, or for asking your boss for a pay rise. The opportunity may vanish if you wait for too long. Success in life and poker depends on finding the right compromises between waiting for favourable conditions and acting when required. Sometimes you are forced to play with horrible cards, but remember you can still win! Make that call today, don’t delay it with excuses. Deal with that problem now, don’t let it grow further. In both poker and life, if you are too passive, you lose. You need to proactively play and take calculated risks to win. Sometimes life gives you a bad hand — make the most out of it. There is a risk associated with every reward in both poker and life. In poker, you need to bet money to have the chance to win. In life, you have to make decisions to achieve your goals without knowing the outcome beforehand. In poker, playing it safe means playing only when you have the best hands. Yet this style is so predictable that it can easily be exploited by opponents. They will bluff you more often, and they will avoid confronting you because you only play the best hands. Pursuing safety results in missing on great opportunities where a moderate amount of risk could yield a large reward. The danger with safety is that feeling safe can be mistaken with being safe. Similarly, in life you may be missing out on opportunities by playing it safe. A decade ago, getting a university degree in Spain guaranteed a great salary. Since this option was deemed safe, many people took this route — saturating the professional market with specialists. Companies can now exploit the job market by offering lower pay than before since demand is larger than offer. Playing recklessly is also a mistake. Some people last 5 minutes in a poker table because they risk it all without reasonable consideration. These players are called fish, and are just sources of income to others. Don’t be a fish. If you want to do well you will have to accept that there is a risk in everything we do. You can never predict all the outcomes. The best we can do is to maximise your expectations by balancing risk with reward. If you try to predict everything, then I predict your predictions will be wrong. Poker is a combination of mathematics and psychology. You need to know concepts about statistics but also be good at reading your opponents. Likewise, succeeding in most areas of life requires a balance of both great technical and soft skills. For example, in the context of internet startups, you need both a quality product and excellent communication with customers. If you offer 500 features but customers understand none you will fail. In university, some students value only having the best grades as an indicator for success. However, this is a simplistic metric. Many students with high scores lack the emotional confidence to excel in life — they are book smart, but not street smart. Find the balance to improve your game. If you want a promotion in your company, do you really need to work even harder? Perhaps your work is excellent already and you just need to connect better with your colleagues and managers. Think outside-the-box. If you are not achieving the success you desire in life, check first if the equation is imbalanced. Is the technical or the soft skill side missing? Do you need more knowledge or more confidence? Theory or practice? 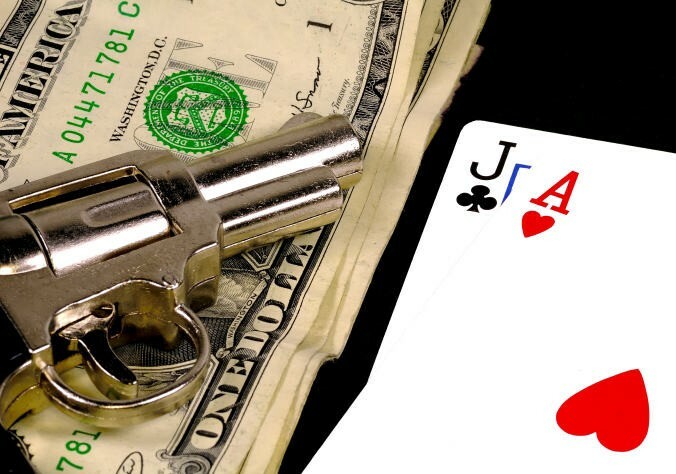 Sometimes the ‘best hand’ wins — the hand that is able to pull out a revolver faster. Think outside-the-box. Poker is about earning money, not about winning hands. Similarly in life, it’s foolish to try to win every single time on everything. 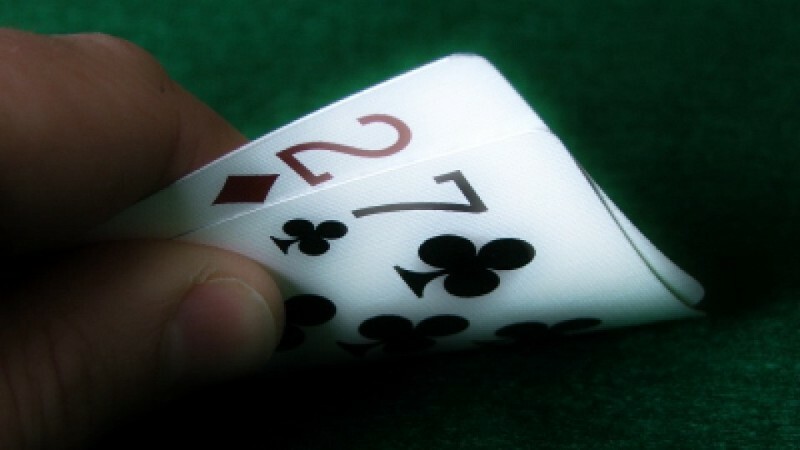 In poker, you can lose small pots for 1 hour, then win a big hand and walk out with your pockets full of cash. Likewise, you can fail many times in life and then succeed big enough once, resulting in an overall successful result. It doesn’t matter if you are rejected by 100 dates if then you find a perfect match and you are happy together for a lifetime. If you are fighting every time you get rejected, you will never get to the one person that matters. Life is full of trial and error, mistakes are human and unavoidable. However, it’s not about who wins the most battles, it’s about who wins the war. In both life and poker, sometimes you win, sometimes you lose. Even the best players lose sometimes, you should accept that you can’t always win. Don’t let a small loss distract you. You are aiming for the one big win. 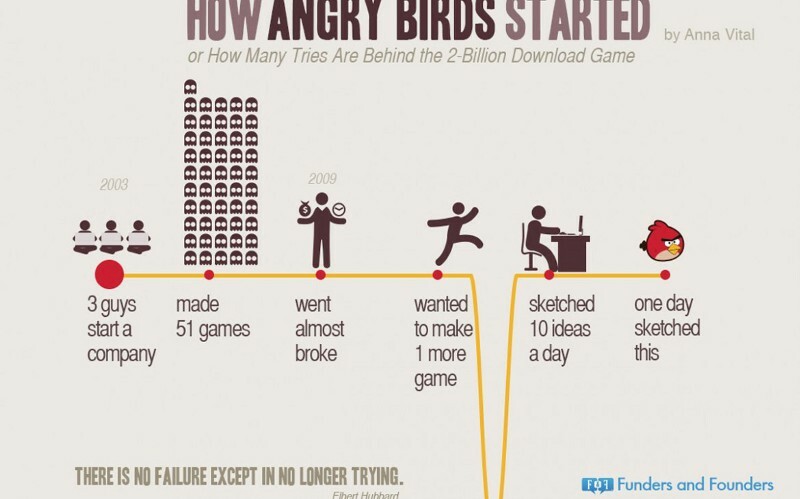 The guys at Angry Birds failed 51 times and succeeded only once. However, this success was so big that it made up for all previous attempts. Don’t count victories and defeats, focus on the overall result. I no longer play poker competitively, however I still benefit from the great lessons it has taught me. I would like to finish by noting that even though there are many similarities between poker and life, life is much richer. 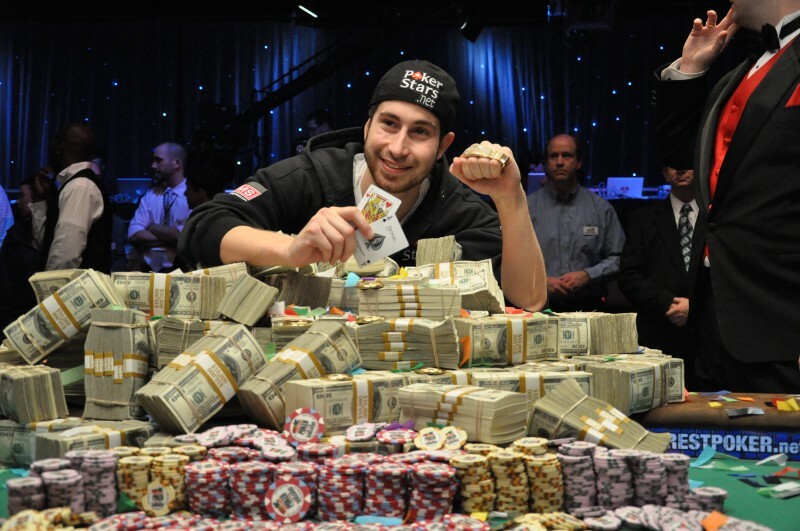 Poker is all about winning money. However, winning is not everything in life. Poker lacks the essential component of building human relationships. Don’t get so deep into the analogy that you forget about love and happiness. I hope you go on to succeed in all the goals you set in life. It’s your turn to play. Play wisely, play well. Click here for the original article. If you enjoyed reading I would really appreciate it if you recommend ❤ and share this story. You can also follow me on Medium at Diego Oliveira Sánchez to read more stories. Finally, you can check Foodswiper out if you want to see the project I’m currently working on. Cofounder of www.foodswiper.co.uk, the 1st takeaway app based on real food pictures that adapts to your taste. I write 1–2 food for thought stories every week.